Latest chapter. Glad the homeowner had a gun. Interesting that the criminal was shot 6 times and had non-life threatening injuries. I can only assume it was a .22. About to be the youngest QB in playoff history. Glad to see a U of L alum doing so well. Looks like there has been a Bigfoot sighting in Kentucky. Shouldn’t we get our own program on Discovery or A & E now? Homeowner’s son defends family from home invasion. One intruder killed. Kentucky style. And it is a civil war monument to boot. Great news. Just another day in the history of crime and punishment in the Bluegrass. 4 combat paratroop jumps in WWII was a rarity. A Kentucky soldier who achieved that feat recently passed away. Those of us who live in Louisville, KY think of Bowman Field as the general aviation airport for Louisville. The one in the heart of town with the beautiful 1930s terminal. However, as Charles “Charlie” Arrington knows there is much more to Bowman Field than that. Charlie comes by this love of history naturally, and he spent his career as a history teacher. Charlie, a former longtime MMCL member, has an encyclopedic knowledge of Louisville’s aviation history. This book is clearly a labor of love. It starts with this history of Bowman Field as nothing more than a farm field on the far outskirts of Louisville in the around 1920. The first aircraft recorded to have landed at the new airfield was a Canadian built JN-4 Canuck. Bowman Field grew along with the rapid expansion of aviation technology and before long there were hangers, paved runways and regular airline service to destinations all over the US. This is all documented thru an amazing collection of period photographs. This is one of my favorite periods in aviation history, and it is really neat to see all the different 1920s and 1930s aircraft which passed thru Louisville. Charles Lindberg and the Spirit of St. Louis was one such aircraft, and, of course, Charlie has the photos to document the occasion. The next big event in the history of Bowman Field is the outbreak of WWII. Like many civilian airfields, Bowman Field became a training base. Bowman specialized in training glider pilots and was the home base of the airborne nurses program. This period saw a rapid expansion of the field’s facilities. As you would think, much of this wartime effort was well documented in photos and Charlie has gathered the best ones and included them in this book. It is in the postwar period that Louisville’s current commercial airport was established. Staniford Field became the commercial airport, which relegated Bowman Field to the status of a general aviation airport. While this was a change, it didn’t mean that history wasn’t happening at Bowman, and again this postwar development is well recorded in many black and white photos. I can’t recommend this book highly enough. It is fascinating, and has enough great photos to provide hours of interesting browsing. I purchased my autographed copy directly from the author for $20. 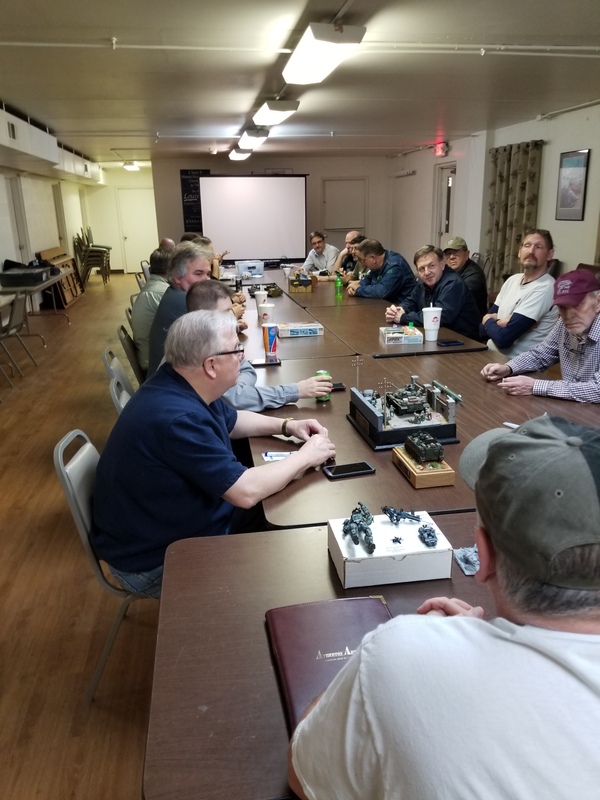 My local IPMS chapter, MMCL held its February meeting last Thursday. Sorry about taking so long to get this it. The meeting was great. If you have an IPMS chapter near you, I urge you to attend and join. 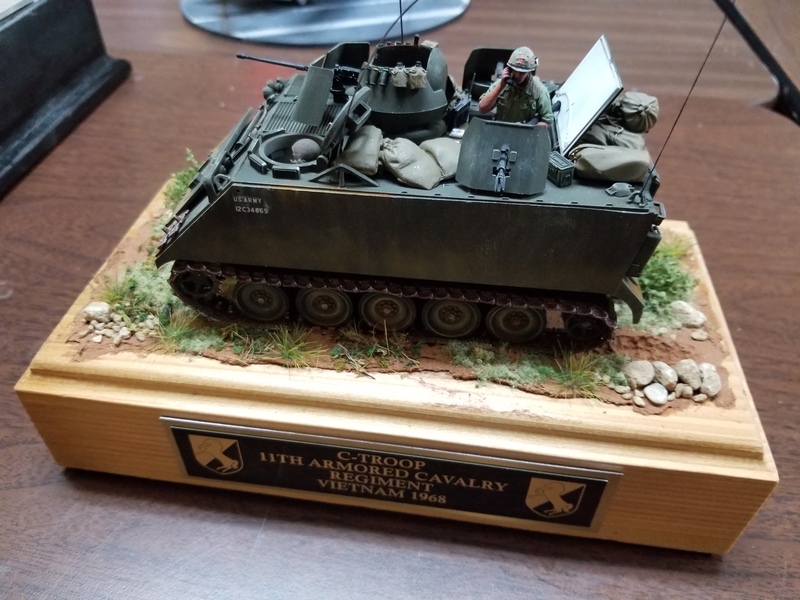 Also, join IPMS/USA. This meeting we had a guest speaker who works for the Department of the Army, identifying and recovering remains of MIA soldiers. It was an amazing talk. 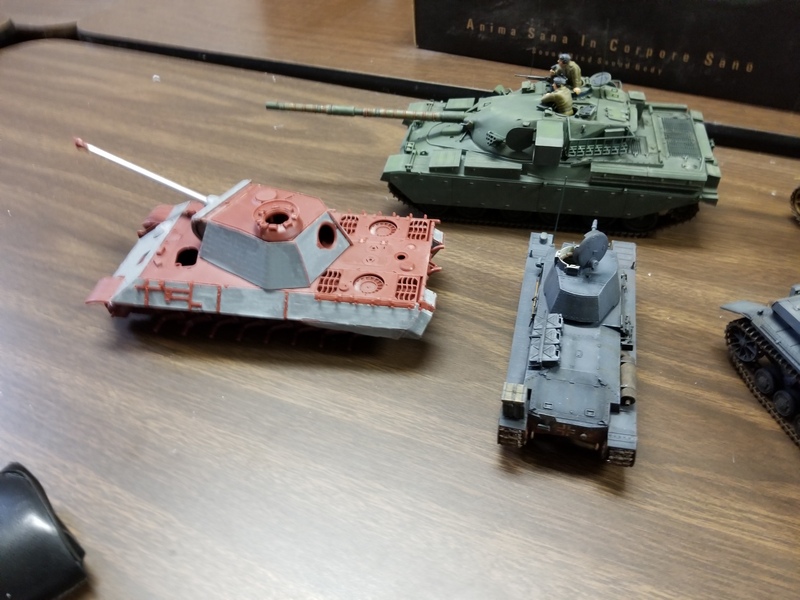 Also, we had some great models brought in by the members. 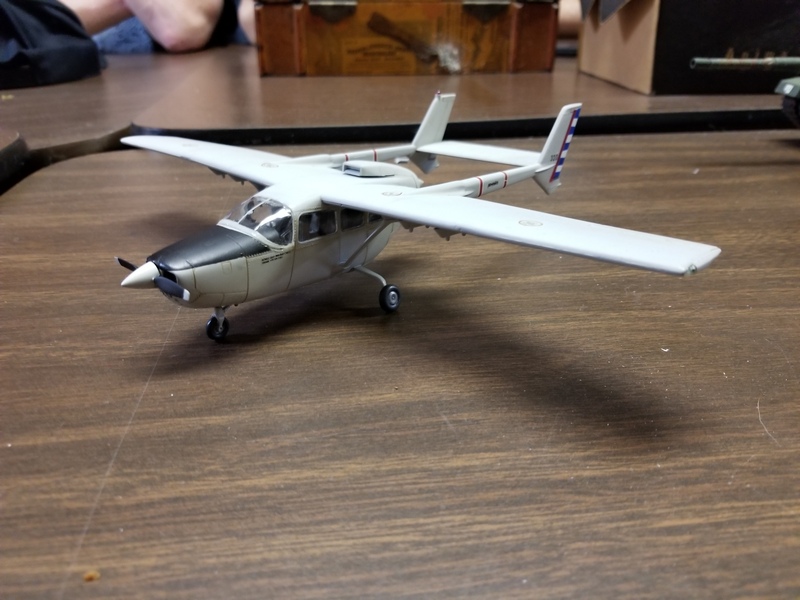 Here are a few shots.